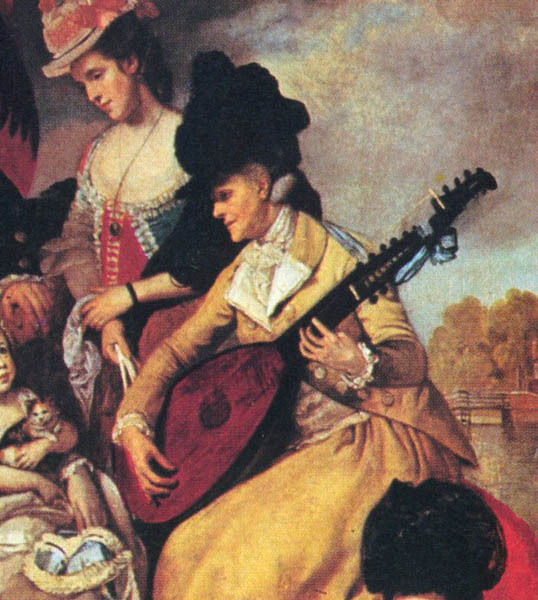 <<< An excerpt from the painting "A Theorbo Player" by Jan Bronkhorst (1603-1661), now in the Library Larousse, Paris France. Here is an "Archlute" or "Roman Theorbo" made by one of the Tieffenbrucker brothers of Luthiery - Magno Tieffenbrucker in Venice in the late 1500's - now residing in the Kunsthistorisches Museum, Vienna. "Panduan Theorbo" made in 1595 by Wendalin Tieffenbrucker. It now resides in the Kunsthistorisches Museum, Vienna. "Venetian Theorbo" made by one of the "Sellas" brothers of Luthiery: Matteo Sellas in 1637. It now resides in the Victoria and Albert Museum. Here is a"Theorbo" made by J. H. Goldt in Hamburg, Germany in 1734. This instrument now resides in the Albert & Victoria Museum. 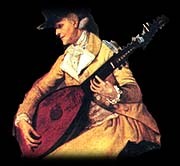 "Theorbo" made by luthier Micheal Rauch in 1762. Now in the Albert and Victoria Museum. Paul: The "Theorbo" (Bass Lute) was invented in Pandua in the 1500's. 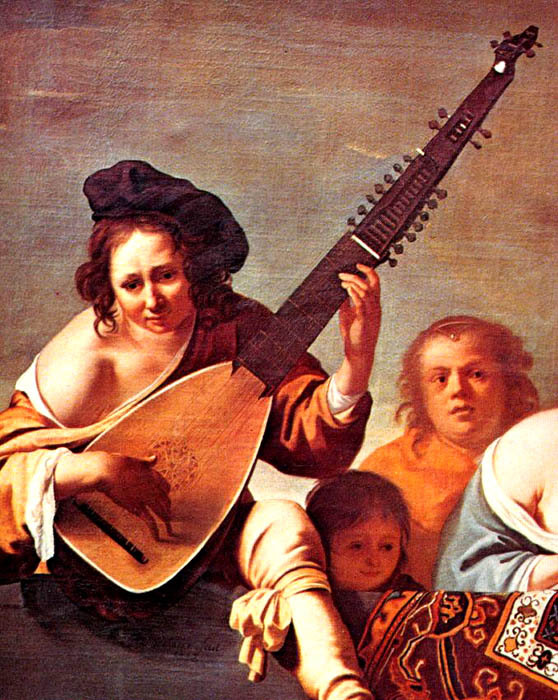 The "Theorbo-Lute" is said to have been invented in 1594 by Italian Lutier, Piccinini. Offshoots of the Theorbo include an instrument called an Angelica. 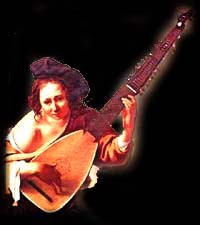 An "Angelica" was basically a "Theorbo" with seventeen single strings and tuned like a Harp (to a diatonic scale) and was "fretless" wich made it popular with ameteurs. The "Angelica" was treated like a harp.